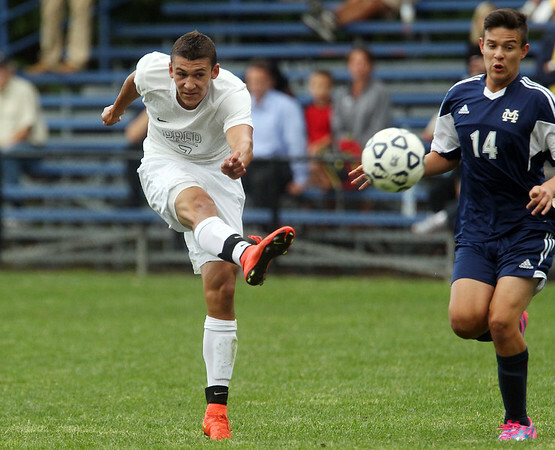 St. John's Prep senior forward Paul Magazzu (7) fires a shot on net against Malden Catholic on Wednesday afternoon. DAVID LE/Staff photo. 9/10/14.